BERLIN — Like most foreign-policy experts, I was shocked by Russia’s annexation of Crimea and its continuing “soft invasion” of eastern Ukraine. Can such a naked land grab really be happening now, in 21st-century Europe? But Russia’s actions were not the only surprise. If you have followed the German debate about the Ukraine crisis, you have witnessed another strange phenomenon: a parade of former politicians and public figures going on TV to make the case for Russia. According to these august figures — including former Chancellors Gerhard Schröder and Helmut Schmidt — NATO and the European Union were the real aggressors, because they dared to expand into territory that belonged to Moscow’s legitimate sphere of interest. And it seems part of the German public agrees. In point of fact, despite its trumped-up charges against Iraq, the Bush administration had at least 16 United Nations Security Council resolutions to support its case. Vladimir V. Putin, Russia’s president, had zero. The only common denominator of both positions seems to be an underlying anti-Americanism. Some of this pro-Moscow sentiment is the work of Russia-sponsored propaganda: A recent investigative report by the newspaper Welt am Sonntag revealed how a shady network of Russia supporters has shaped public discourse in Germany. Even dialogue forums with Russia, co-sponsored by the German government, are full of friends of Mr. Putin, even on the German side. But there is also a disturbing undercurrent among ordinary Germans that harks back to old and unfortunate German traditions. We have come to think of Germany as a Western European country, but that is largely a product of Cold War alliances. Before then it occupied a precarious middle between east and west. Twenty-five years after the end of the Cold War, German society may well be drifting away from the West again. In a poll last month by Infratest/dimap, 49 percent of Germans said they wanted their country to take a middle position between the West and Russia in the Ukraine crisis, and only 45 percent wanted to be firmly in the Western camp. This anti-Westernism is coming from both sides of the political spectrum. There is the part of the left that is instinctively anti-American and takes the side of whatever international actor happens to challenge the status quo and the leading Western power. Then there is Europe’s populist right, which agrees with Russia’s propaganda that Europe has become too gay, too tolerant, too permissive in its morals and too un-Christian, and which welcomes an authoritarian leader challenging Europe’s fuzzy multilateralism. In Germany, you can find this current best represented by the new anti-euro Alternative für Deutschland Party. They take up a conservative strain of German thinking dating back to the 19th century, which harbors a resentment toward Western civilization and romanticizes a Russia seemingly uncorrupted by Western values and free-market capitalism. Both versions of anti-Westernism have been around for decades; until now, though, they have been confined to the political fringes. These days they are accepted by parts of the elite and sections of the political center. That, combined with the enormous investment by German companies in Russia, is placing constraints on how aggressively the government of Angela Merkel, Germany’s strongly pro-Western chancellor, can act against Russia. What unites the apologists on the left and right is a striking disregard for the fate of the people who inhabit the lands between Germany and Russia, and a truncated notion of German history. Some apologists will explain their sympathy as a matter of debt to Russia for German atrocities during World War II. But it is important to remember that the war started with Germany invading Poland from the West — and a few days later the Soviet Union invading Poland from the East, after both sides had secretly agreed to split Eastern Europe between them. And so when German public figures, parroting Russian propaganda, dismiss Ukraine as “not a real country anyway,” or treat countries at the fault line between the West and Russia as second-class nations with somewhat lesser sovereignty, they are evoking memories in Eastern Europe of the bad old days, when the Nazis and Soviets turned the region into the “Bloodlands” of their respective dictatorships. For decades Germany has tried to come to terms with its fascist past and to learn important lessons from it. And now, in another country, there comes an authoritarian leader who is trying to stabilize his regime by pursuing aggression abroad on the grounds of ethnic nationalism. For anyone who has grappled with Germany’s Nazi past, it should have been easy to call right from wrong in this case, instead of finding excuses for Russia’s actions. It’s a test that too many of my compatriots have failed. To be fair, in a recent poll 60 percent of Germans said that their country should stand with the West in the Ukraine crisis. So Russia’s ongoing aggression is having some effect on public opinion. But that still means that nearly half of all Germans do not feel a deep connection with the West and its values — which is precisely what Mr. Putin wants. 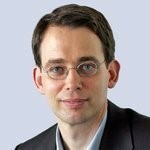 Clemens Wergin is the foreign editor of the German newspaper group Die Welt and the author of the blog Flatworld.